Extract signature: Avocado grows on a tree native to tropical America (Mexico and Central America). 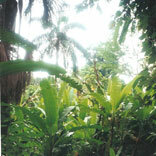 The essential oil is extracted from the pulp of the fruit. Avocado is an emollient that is great for normal/dry skin. It also improves circulation, both internally and externally and helps treat eczema, acne and skin disorders. Avocado is best known for its softening and moisturizing effect on both the skin and hair. Extract signature: Bladderwrack is seaweed of the Northern Atlantic Ocean, which is believed to be soothing, moisturizing, and beneficial in external treatment of cellulite. In baths, it gives the effect of a bubbling sea bath. because the root contains a combination of mineral salts that are great for treating sprains, fractures and muscular pain. Comfrey also has positive effects on the skin, hair and scalp. Allantoin removes dead skin cells and induces cell proliferation, allowing for healthy tissue formation. It acts as an astringent and anti-inflammatory. Comfrey is cleansing, moisturizing, softening, soothing and rejuvenating. Its powerful healing properties help treat cuts, bruises, eczema, acne and many skin problems. Comfrey also improves circulation and is moisturizing. Extract signature: The pale yellow oil comes from the crushed seeds and gives a sweet anise-like scent. Fennel instills courage, strength and longevity within us. We are able to overcome life's challenges without forgetting the needs and feelings of those around us. It is primarily used in cooking and to help with weight loss. The yellow energy acts a diuretic, removing toxins from the body. On an emotional level, this energy promotes confidence. Extract signature: The liquid is made from the seeds. Fenugreek seeds are primarily known for their high saponin content. Saponins are glycosides that have been very successful in treating dandruff and are used as foaming, emulsifying and detergent agents in cosmetics. Extract signature: Flax Seed Oil is a carrier oil that is well known for treating cellulite and stretch marks. Extract signature: A great healing oil that creates the inner balance necessary for a quick recovery after an illness. Geranium regulates our entire system by normalizing metabolism and harmonizing the mind and emotions, making it a great treatment for stress. The cleansing effect clears out the digestive system and thins mucus in the lungs. The gentle pink ray nurtures and comforts the heart, allowing a new love to develop. Geranium is great for the complexion because it stimulates the flow of blood. Extract signature: The origin of Jojoba is both American and Mexican. The essential oil is made from the seeds and is colorless, odorless and doesn t become oxidized or rancid. Actually, the substance produced is not a true oil, but a polyunsaturated liquid wax. It is a stable natural carrier for plant hormones, natural pesticides and herbal extracts. Jojoba moisturizes and softens the skin, scalp and hair while laying down a protective film. This oil is conditioning and balances sebum production. Extract signature: Lavender is the most widely used plant throughout history and has been used for healing the skin, cleansing of infectious diseases, plague, convulsions, epilepsy, fainting and all headaches. It acts as an analgesic, antiseptic, anti-inflammatory and antibiotic. This woody evergreen shrub has violet-blue flowers that point upwards, giving energy to the sky and the plant stems are covered with star-shaped hairs and narrow gray-green leaves. The essential oil is colorless, infusing it with white energy. Lavender is sedating, calming, balancing yet uplifting. It relaxes the heart, lowering blood pressure and relieves the mind of physical and emotional pain. This oil is a valuable treatment for acne because it prevents the growth of bacteria that cause infection, balances sebum production, prevents scarring and stimulates the growth of healthy new cells. Lavender is also often used to treat eczema. Lavender allows us to stand back and look at our life from an objective perspective, allowing us to become aware of our higher consciousness and spirituality. Lavender blends well with Marjoram, Rosemary, Geranium and Bergamot and elevates the therapeutic action of any oil it is mixed with. Extract signature: The essential oil is a yellow-orange color with a blue-violet hue and has a very citrus sweet aroma. The strong orange vibrations make it a great skin treatment because its releasing action helps the formation of scar tissue, reduces stretch marks and tones oily skin. Mandarin is a good digestive aid and helps remove excess fluid from the body. This oil increases self-awareness and helps develop a positive self-image while attracting joy and happiness. Extract signature: Olive oil is extracted from the fruit, leaves and bark of this evergreen tree, native to the Mediterranean. It acts as an astringent and emollient that absorbs well into the skin. Cleansing, moisturizing and softening, Olive Oil helps heal acne, eczema and many other skin problems. The branch of the olive tree brings peace. Extract signature: The white flowers of Patchouli have a purple hue and distill dark orange oil. This oil acts as a tonic, especially on the libido and initiates the release of creativity. It also calms the nervous system and is a great anti-depressant. The orange/yellow energy acts as a diuretic releasing water from the system and then the violet ray regulates the water balance in the endocrine system. The violet ray also gives the oil its astringent and fungicidal qualities. Patchouli is a tissue regenerator that cools inflamed conditions such as dry, hot skin. Violet energy contains a mixture of blue and red that stimulates new cell growth while simultaneously heals and balances. Extract signature: The pale yellow liquid is extracted from the leaves and young shoots of the orange tree and has a fresh floral citrus scent. This oil relaxes the heart by easing breathing with the soothing and sedating qualities of the green ray. The pale yellow energy positively affects the nervous system, leaving the body refreshed and revived. In skin care, it balances the production of sebum and is a gentle antiseptic, making it great for acne and oily hair. The yellow ray helps the green ray penetrate through all the subtle bodies. Petitgrain strengthens our inner core, lifts our spirits and makes us open to new opportunities and love. Extract signature: A rose native to the southern Andes of South America (Rubiginosa). It has pink flowers that only live for 24 hours and then are replaced by the fruit or rose hips, which is high in vitamin C. Enclosed in the hips are tiny amber seeds that contain a unique oil high in essential fatty acids and photo-substances. Rose Hip Seed Oil heals skin damaged by UV rays and reverses the aging effect due to this type of damage. It helps prevent premature aging as well as treat dry skin and minimize the appearance of fine lines. Moisturizing, softening, soothing and rejuvenating, this oil is also beneficial for hair care. Extract signature: Sandalwood comes from the heartwood of the tree and contains yellow and violet energy. Being both a tonic and sedative makes it a very unique oil. Relaxing to the mind, Sandalwood is often used for meditation especially in India. This oil has a strong connection with ceremony, serenity and wisdom. Violet is cooling, soothing and softening to irritated skin. The yellow ray warms and comforts by creating a euphoric state while the violet ray deeply purifies bringing peace and serenity. The violet ray also acts as an aphrodisiac by cleansing the sexual organs. Sandalwood also has a connection to Rose, making it a good tonic and sedative for the heart. Extract signature: The names Mandarin and Tangerine both describe the same oil; Mandarin is more common in Europe and Tangerine in America. The essential oil is a yellow-orange color with a blue-violet hue and has a very citrus sweet aroma. The strong orange vibrations make it a great skin treatment because its releasing action helps the formation of scar tissue, reduces stretch marks and tones oily skin. Mandarin is a good digestive aid and helps remove excess fluid from the body. This oil increases self-awareness and helps develop a positive self-image while attracting joy and happiness. Extract signature: This oil is great for treating stretch marks and cellulite. Extract signature: The "oil of tranquility" is a tall, tufted perennial scented grass with a straight stem that is a vibrant golden-yellow color. The dark amber colored oil comes from the roots. Vetivert strengthens the mind-body connection and centers our inner core. Working through the solar-plexus chakra, it enhances our self-confidence and personal power. Vetivert is also great for skincare, especially for oily skin and acne, and removes toxins from the blood stream. It has a relaxing and calming effect on the nervous system. This oil blends well with Sandalwood, Jasmine, Cedarwood and Lavender. Extract signature: Wheat Germ Oil is distilled by cold-pressing (heat or chemical influences destroy the active ingredients) fresh milled wheat germ, the life-force of the wheat berry. It is ivory to medium brown in color and smells like grain. Wheat Germ Oil is the best source of vitamin E. The high content of fat-soluble vitamins, sterols and plant hormones is beneficial for normal/dry and mature skin and ideal for treating cellulite. Wild Plum Prunus domestica L.
Extract signature: Wild Plum comes from small trees that originated in Asia Minor and are now cultivated in many areas of the world. This oil acts as an astringent and is rich in fruit acids. The unripe fruits help treat digestive problems while the oil is great for cellulite and stretch marks.